If Each Automaker Could Only Make One Car, What Should It Be? We are fast approaching a time where every automaker is producing its entire lineup on one basic modular platform, almost like making only one car in different skins. So, if we imagine a world where companies were forced to just build one car, what should each of them make? I don’t know what’s going on in this world I have imagined. Maybe we’ve irresponsibly used up all of the resources we use to build cars and now companies are limited by a government that finally cares to build just one car each. Maybe the marketing focus on lifestyle branding has divided the population evenly into super strict and specific categories of people, and the automakers have been assigned which lifestyle they have to serve. Perhaps automakers start shepherding large groups of superfan customers and become skillful at manipulating their needs and desires until the company reaches a point where it can reduce its manufacturing overhead to producing just one product, drastically increasing efficiency and cutting costs without loss as its superfans buy its single car up. Doesn’t matter. Point is, whatever is going on in this world doesn’t sound great, but it’s a interesting thought experiment to try and decide which single car, say, Ford should make. You might think it’s the Mustang, but then you remember the F-150. Does that mean they should only make the Raptor, since it’s kind of a happy medium? 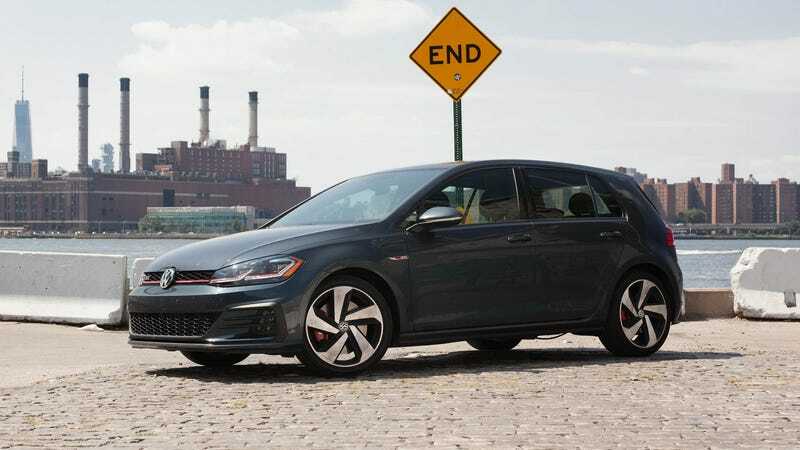 With Volkswagen, why the hell does it make anything beyond the GTI? The Beetle was supposed to be the car for everyone, and the Golf replaced that. You don’t need anything else in life but a GTI, really. Porsche.. oh, Porsche. You can’t get rid of the 911, but can you have the 911 without the crossovers? And then with Tesla, all of the cars are so close how do you decide which one would be the one? And what if we go back in time and open this up to cars of the past? This is your burden. Figure it out and have fun.